This article is about Raiffeisen Zentralbank. For other uses, see Raiffeisen. Raiffeisen Zentralbank Österreich AG is the central institution of the Raiffeisen Banking Group Austria (RBG) and also functions as the group centre for the entire RZB Group, of which the listed company Raiffeisen Bank International AG (RBI) with its banking network in Central and Eastern Europe (CEE) is the largest member. 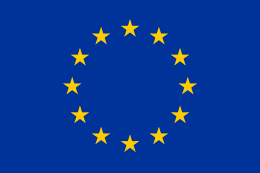 It has subsidiaries in, amongst others: Ukraine, Hungary, Czech Republic, Romania, Kosovo, Albania, Bulgaria, Bosnia-Herzegovina, Croatia, and Switzerland. The largest of these subsidiaries by far is Raiffeisenbank (Russia) which accounts for 74 percent of the company's pretax profit. The RZB Group is the third largest Austrian bank. As of end-2010, the balance sheet total of the RZB Group amounted to 136.5 billion euros. RZB has several specialised subsidiaries. Raiffeisen Zentralbank Österreich AG is a member of Austrian Raiffeisen Association, which amongst other things functions as the interest representation association for all Austrian Raiffeisen cooperatives. The incorporation meeting of the shareholders of the giro centre of the Austrian Raiffeisen cooperatives was held on 16 August 1927. With this, a central institution was established for the Raiffeisen Banking Group, and since then this institution has functioned as the national and international representative and coordinator for the Group. The founding took place roughly four decades after the establishment of the first Austrian savings and loan cooperative to use the system devised by Friedrich Wilhelm Raiffeisen. The original company name was Girozentrale der österreichischen Genossenschaften. In 1939, after the German annexation of Austria, the new German owners changed the name to Genossenschaftliche Zentralbank der Ostmark Aktiengesellschaft, and then in 1942 to Genossenschaftliche Zentralbank Wien Aktiengesellschaft. From 1953 on, the new name was Genossenschaftliche Zentralbank Aktiengesellschaft, with the abbreviation GZB also being used for the company. 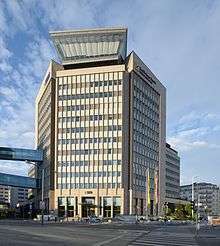 Since 1989, the bank has been named Raiffeisen Zentralbank Österreich Aktiengesellschaft, abbreviated as RZB. Founded primarily as a liquidity equalisation office for the Raiffeisen Banking Group, the company already in its first ten years of operation significantly expanded its business activities to include fields such as foreign exchange and currency transactions, lending, acceptance of deposits and investment in securities. Along with this, the bank's staff also increased significantly, rising to 85 employees at the end of its first decade of existence. In 1938, one day after the German occupation of Austria, it was taken over by a provisional administrator and subsequently nationalised. The bank was not returned to its pre-war owners until 1955. In the 1950s, GZB began to expand and transform its foreign operations. This was also clearly reflected in the bank's growth, with the number of staff rising to almost 200 by 1957. At the end of the 1950s, the bank began to found specialised companies or to invest in them. Working with the co-operatives also allowed the institution to offer each and every Raiffeisen bank and its customers a universal range of financial services. The product portfolio of the Raiffeisen Banking Group was further expanded with the founding of Raiffeisen Building Society, Raiffeisen Insurance, Raiffeisen Leasing and other specialised companies. Along with its position as one of the largest commercial and investment banks in Austria, RZB started developing another main area of business already in the 1980s, founding the present-day Raiffeisen Bank in Budapest in 1986. This very early strategic decision to expand into Central and Eastern Europe (CEE) proved to be one of the most important decisions in RZB's history. Starting from 1989, with the collapse of the communist regimes, RZB focused intensely on CEE, initially founding numerous banks to build up a viable network, which was then complemented with acquisitions starting from 2000. Along with Austria, RZB considers CEE to be its home market. The subsidiary bank Raiffeisen Bank International was formed merging Raiffeisen International Bankholding AG and the corporate banking business and related participations from RZB. RZB currently holds a stake of approximately 78.5% (with the rest of the shares in free float) and operates one of the largest banking networks in CEE. In 2005, it bought Ukrainian Bank Aval, and renamed its subsidiary Raiffeisen Bank Aval. In 2007, Raiffeisen made €1.48 billion, 79% of it from operations abroad. A group of 10 central and eastern European banks, which included Raiffeisenbank Chairman Herbert Stepic as spokesman, asked the ECB to extend their bailout. In June 2013, Raiffeisen supported the nationalised Volkesbanken by purchasing a package of poor loans worth $300mn from them. In February 2014, it was reported that Raiffeisenbank International was reevaluating their participation in the Eastern European and Russian markets, where 57% of Raiffeisen's total assets are, according to bank data. Roughly half of the loans Raiffeisen and its subsidiaries have made in Ukraine were in U.S. dollars, while many loans in Hungary were in Swiss francs. As local currencies tumble, those loans have become more expensive for borrowers to pay off. The bank has asked the Austrian taxpayer to buy preferred shares of Raiffeisen valued at €1.75 billion in a capital-raising measure. The coupons would pay 9.3% annual interest and must be repaid within five years, said an Austrian Finance Ministry spokesman. In 2015 the Raiffeisen Bank made a profit once again (379 million euros / $420 million). This in part lead to the bank postponing the 2014 announced sale of its Polish subsidiary Raiffeisen Bank Polska SA. Another factor that affected the bank's decision to wait with the sale was the elaborate demands by Polish regulators for bank sales. Poland's new bank levy announced that "in principle, we still want to sell the bank, but not under all circumstances and at any price, and we can’t rule out that we won’t sell it in the coming months and years." Via its listed subsidiary Raiffeisen Bank International (RBI), RZB operates a banking network in Central and Eastern Europe. 17 markets are covered with subsidiary banks, leasing companies and representative offices. As of end-2010, RBI served more than 14 million customers via roughly 3,000 branch offices. At the end of February 2010, RZB CEO Walter Rothensteiner announced that a possible merger of RZB with Raiffeisen International Bank-Holding AG (RI) was being considered. This move would open up broader access to the capital, money and bond markets. As all of these changes would take place within the group, it would have no impact on the equity capital ratios. The newly founded Raiffeisen Bank International AG would contain RI and those parts of RZB that do not involve business with the Raiffeisen sector. Business related to RZB's function as the central institution of the Raiffeisen Banking Group and those participations relevant for this sector were to remain at RZB. On 19 April 2010, the executive boards of the two institutions resolved to present a proposal on this merger to the shareholders for approval. At the general shareholders meeting on 7 July 2010, the shareholders of RZB voted to spin off the bank's commercial customer business and the related participations from RZB and to merge these with RI. The next day, the shareholders of RI approved this merger at a general shareholders meeting. The newly founded institution, Raiffeisen Bank International AG, began its activities on 11 October 2010. In 2016 Raiffeisen Banka d.d. of Slovenia was sold to Apollo Global Management and the European Bank for Reconstruction and Development. A number of investigators have suggested that Raiffeisen Zentralbank is involved in laundering money for the Russian mafia. When Moldovan journalist Natalia Morar investigated money flows involving Raiffeisen Zentralbank, she said she received a death threat from the FSB and she was banned from Russia. A Gazprom spokesman has said that Raiffeisen Investment AG is a Gazprom partner in RosUkrEnergo, an opaque Ukrainian company. On 6 August 2004 Interfax reported "100 percent subsidiaries of Russia's Gazprombank and Austria's Raiffeisen Bank created the RosUkrEnergoprom company for the supply of Turkmen gas to the Ukrainian market. The company, shared by the parties 50-50, will be registered in Switzerland. However, Raiffeisen Investment has said that it only manages RosUkrEnergo for unknown "Ukrainian businessmen". According to documents uncovered during the United States diplomatic cables leak US diplomats suspected Raiffeisen Investment was "a front to provide legitimacy to the gas company that we suspect the U.S.-indicted Russian crime boss Semyon Mogilevich controls". One of the cases involved Russian bank called "Diskont". To illustrate the scale of money laundering, $1.6 billion was transferred from Diskont Bank's accounts to Raiffeisen on August 29, 2006. According to New York Times, Diskont received a 10% commission from the money transfers. In September 2006, the deputy chairman of the Central bank of Russia, Andrey Kozlov, revoked Diskont's license. Just days later Kozlov was murdered. The bank has been also suspected of laundering money for the Italian mafia. ↑ "2015 Annual Report" (PDF). Raiffeisen Zentralbank. 2016. Retrieved 1 August 2016. ↑ borisg_work, Boris Groendahl. "Raiffeisen Can Reach Capital Goal Even If It Keeps Polish Unit". Bloomberg.com. Retrieved 2016-05-16. ↑ "RBI closes sale of Raiffeisen Banka in Slovenia". Raiffeisen Bank International. 30 June 2016. Retrieved 1 August 2016.